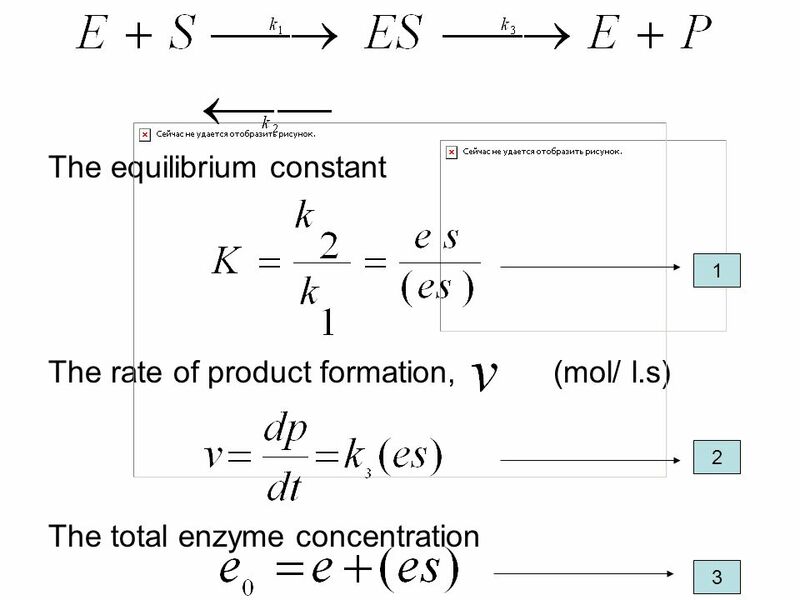 Two approaches: Rapid equilibrium approach Quasi steady state approach Assumptions: Total enzyme concentration remains constant during the reaction Amount of enzyme is very small compared to amount of substrate The product concentration is so low that the product inhibition is negligible. 7 Now sub. 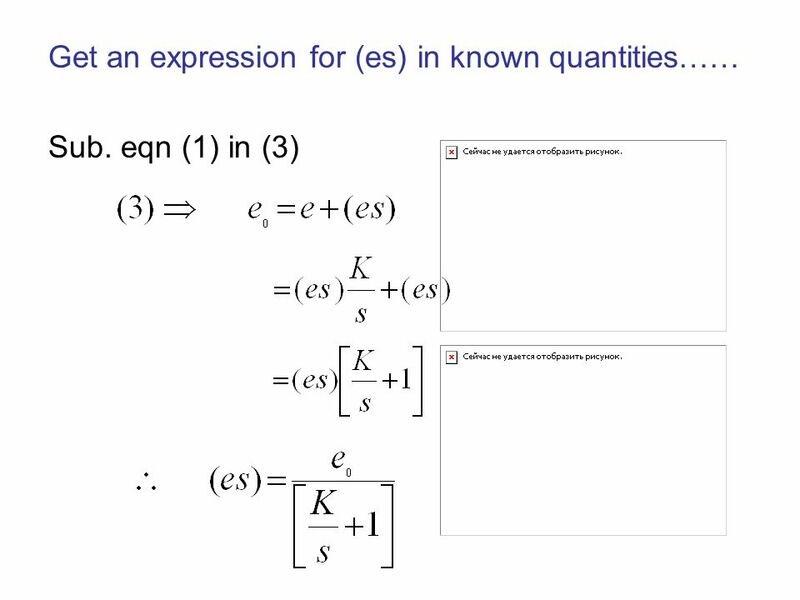 the value of (es) in eqn 2. 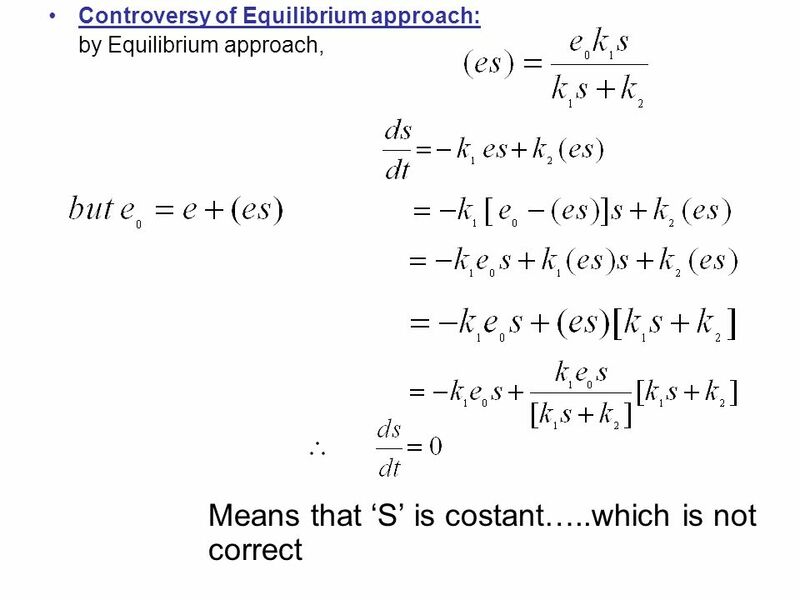 8 Three special cases…….. Case I (s=KM) Therefore…….. 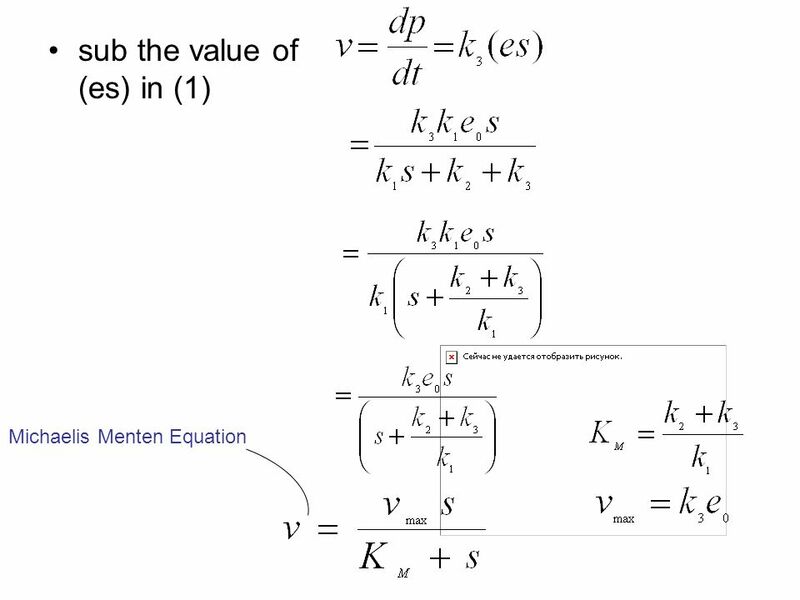 This approach is assumed that the change in the intermediate (transition complex) concentration with respect to time is negligible. 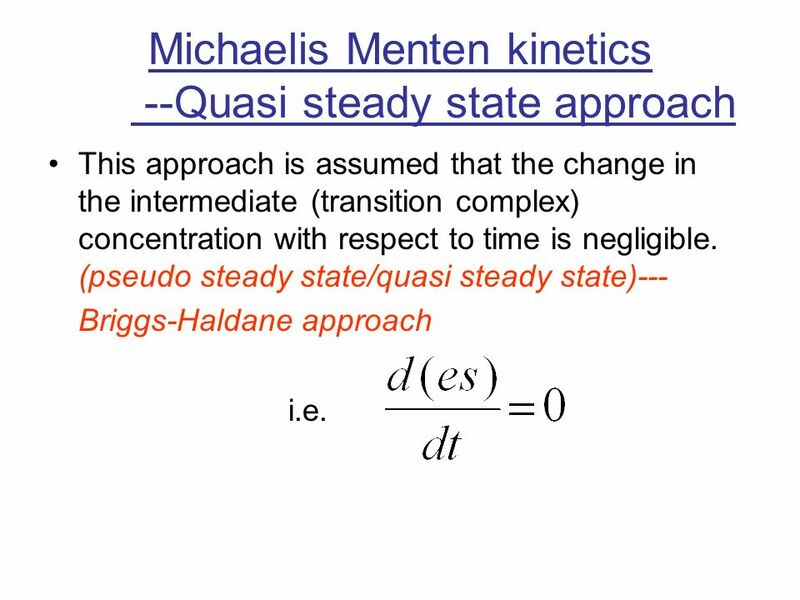 (pseudo steady state/quasi steady state)--- Briggs-Haldane approach i.e. 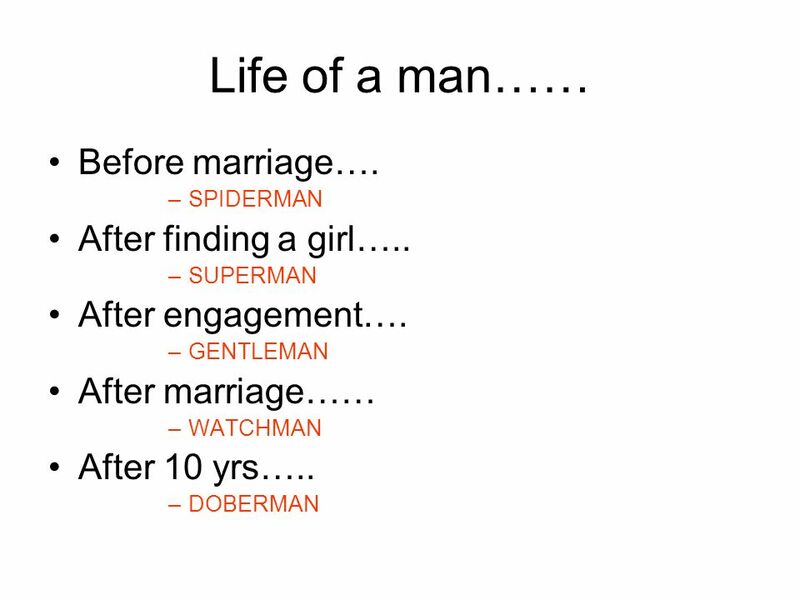 19 This has been rectified by PSS approach…..
21 Life of a man…… Before marriage…. 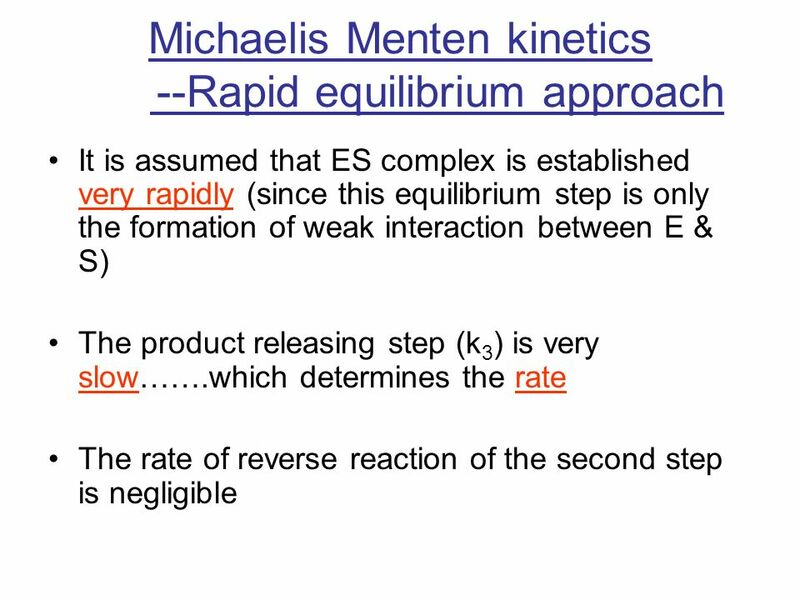 After finding a girl…..
Download ppt "Enzyme kinetics -- Michaelis Menten kinetics"
Reaction kinetics: 1 st order reactions [A] t Decay reactions, like radio-activity; S N 1 reactions Rate: - Rewriting: - Integration gives: So: ln[A] t.
Enzyme Kinetics C483 Spring 2013. 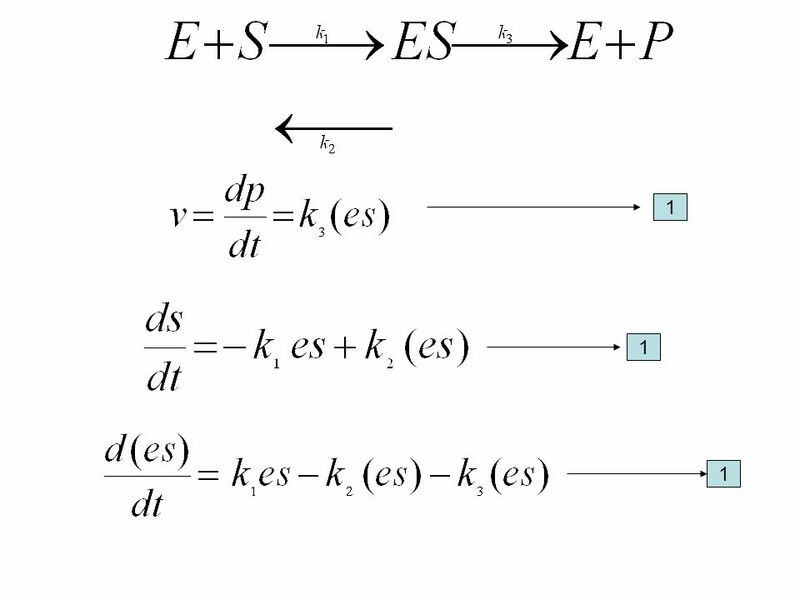 Biochemistry 2/e - Garrett & Grisham Copyright © 1999 by Harcourt Brace & Company Chapter 14 Enzyme Kinetics to accompany Biochemistry, 2/e by Reginald. 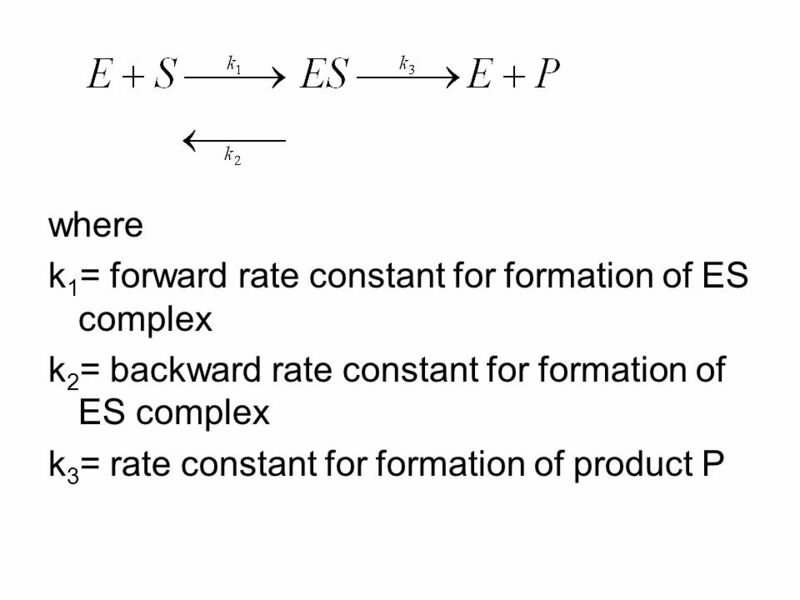 Biochemistry 2/e - Garrett & Grisham Copyright © 1999 by Harcourt Brace & Company Enzyme Kinetics. 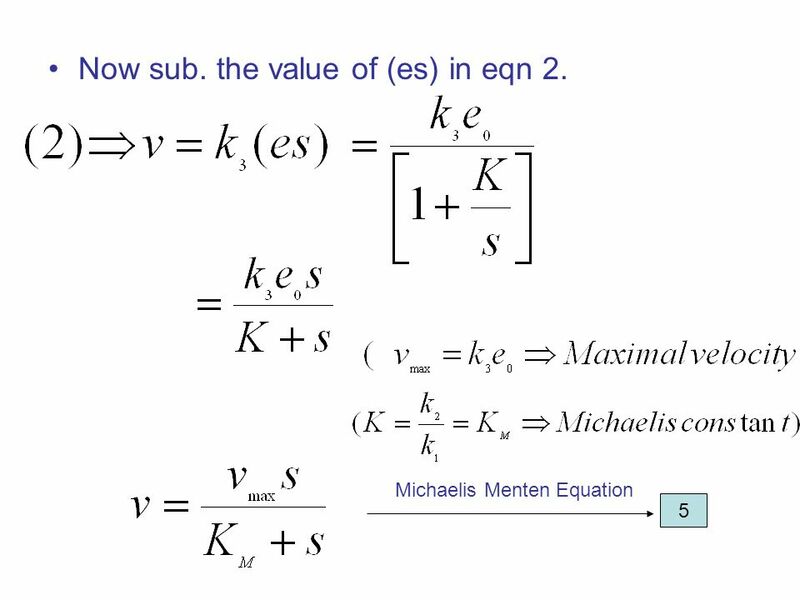 LAB 3 Enzyme Kinetics Studying -galactosidase activity at varying substrate concentrations in the presence and absence of an inhibitor Michaelis-Menten. Aulani " Biokimia Enzim Lanjut" Presentasi 5 Basic enzyme kinetics Aulanni’am Biochemistry Laboratory Brawijaya University. 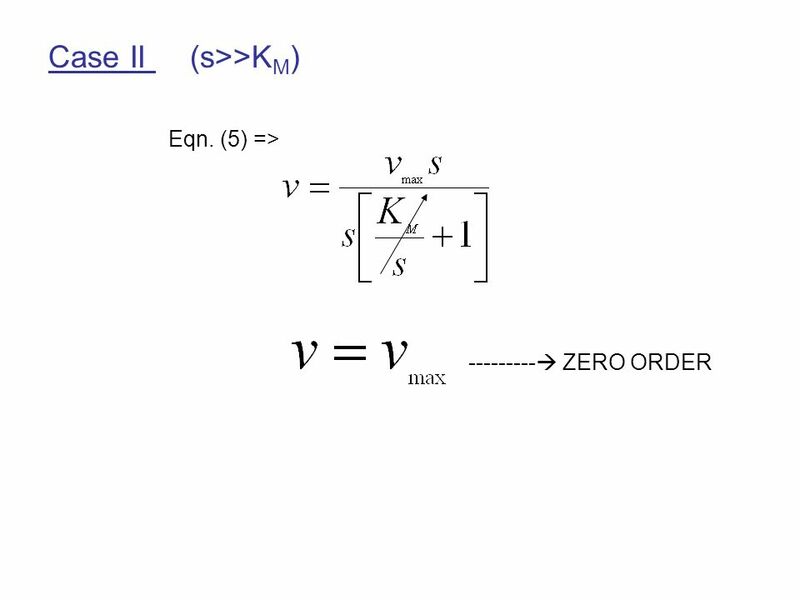 Kinetics: Reaction Order Reaction Order: the number of reactant molecules that need to come together to generate a product. 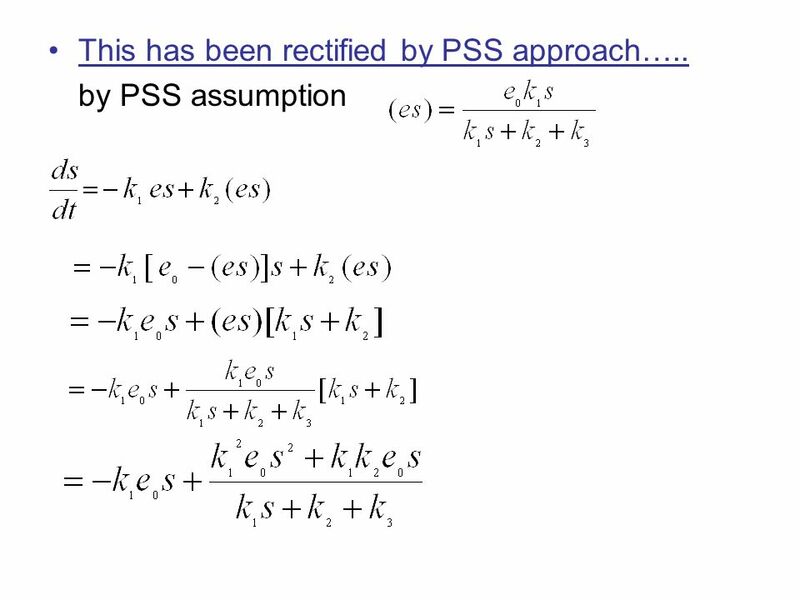 A unimolecular S  P reaction. 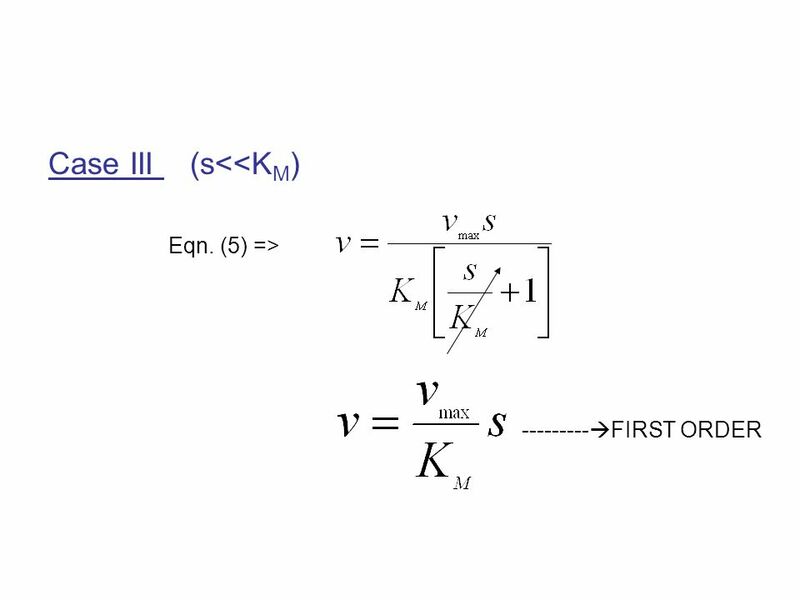 Chapter 7 Chem 341 Suroviec Fall I. Introduction The structure and mechanism can reveal quite a bit about an enzyme’s function. 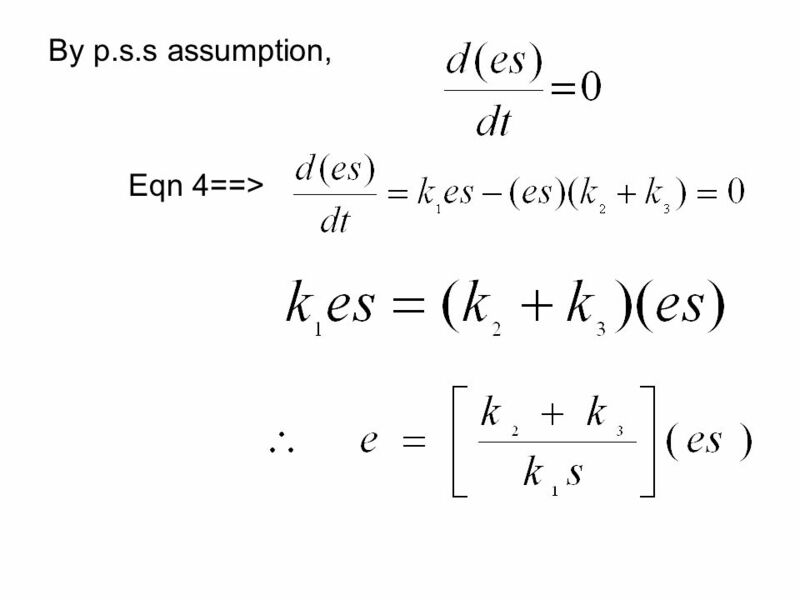 Asymptotic Techniques in Enzyme Kinetics Presented By: – Dallas Hamann – Ryan Borek – Erik Wolf – Carissa Staples – Carrie Ruda. Calculating pH of weak acids and bases. Weak acids and bases do not dissociate completely. 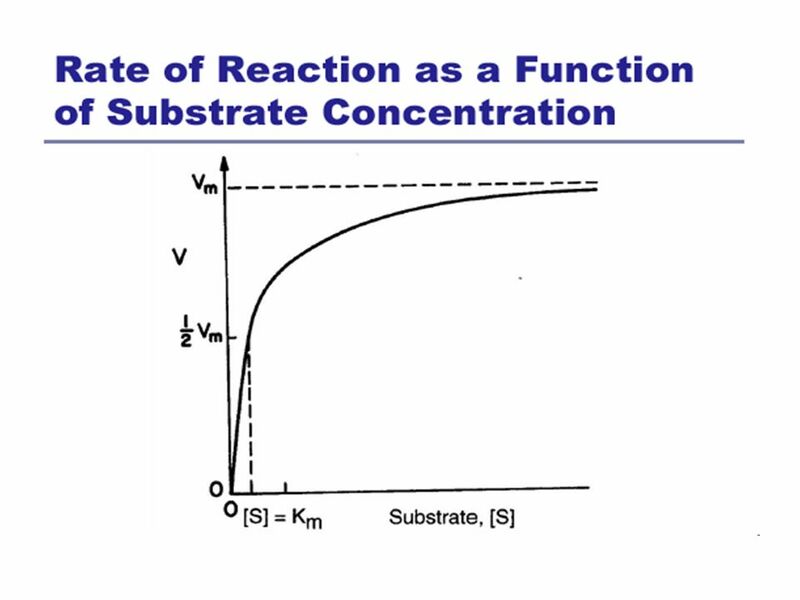 That means their reactions with water are equilibrium reactions. 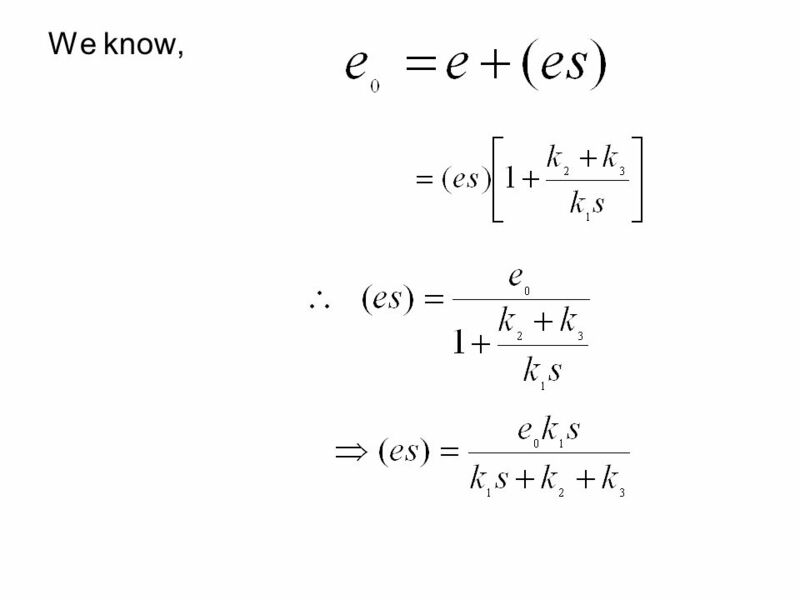 © 2014 Carl Lund, all rights reserved A First Course on Kinetics and Reaction Engineering Class 9. 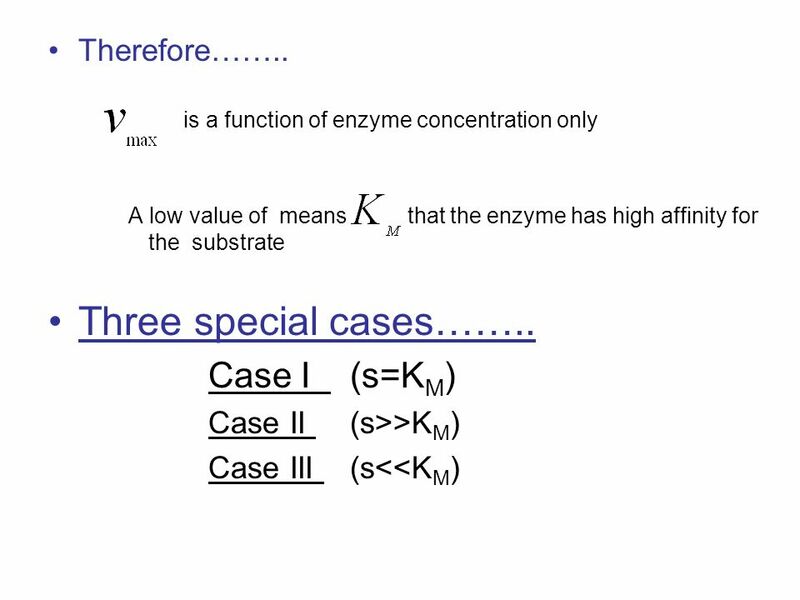 General Features of Enzymes Most biological reactions are catalyzed by enzymes Most enzymes are proteins Highly specific (in reaction & reactants) Involvement. 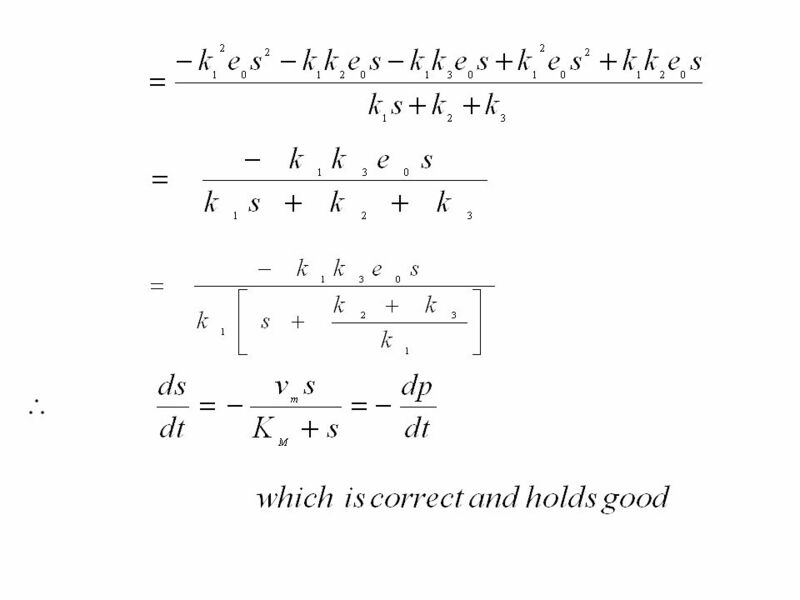 Enzymes Have properties shared by all catalysts Enhance the rates of both forward and reverse reactions so equilibrium is achieved more rapidly Position. 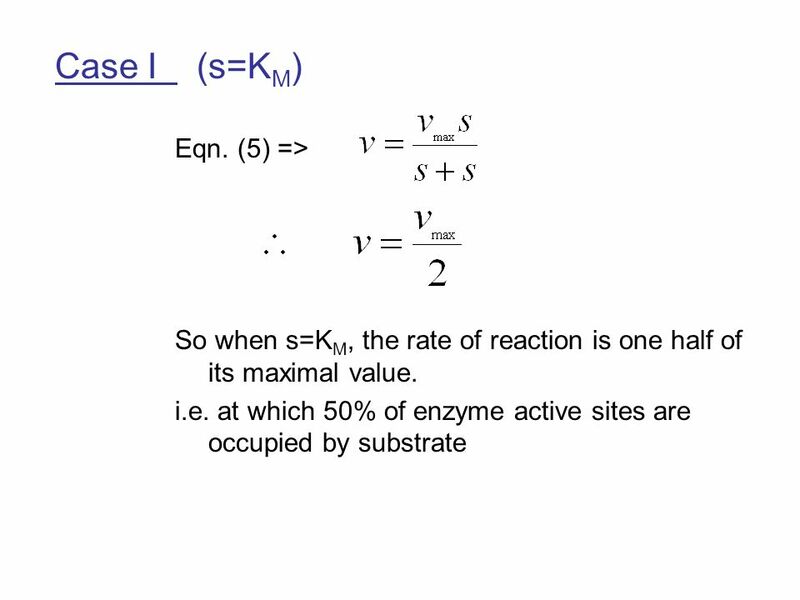 LOGO IN THE NAME OF GOD KINETICS OF ENZYME & IMMOBILIZED ENZYMES BY SARA MADANI. Michaelis-Menten Kinetics Chrisantha Fernando University of Birmingham October, 2006 Chrisantha Fernando University of Birmingham October, 2006. 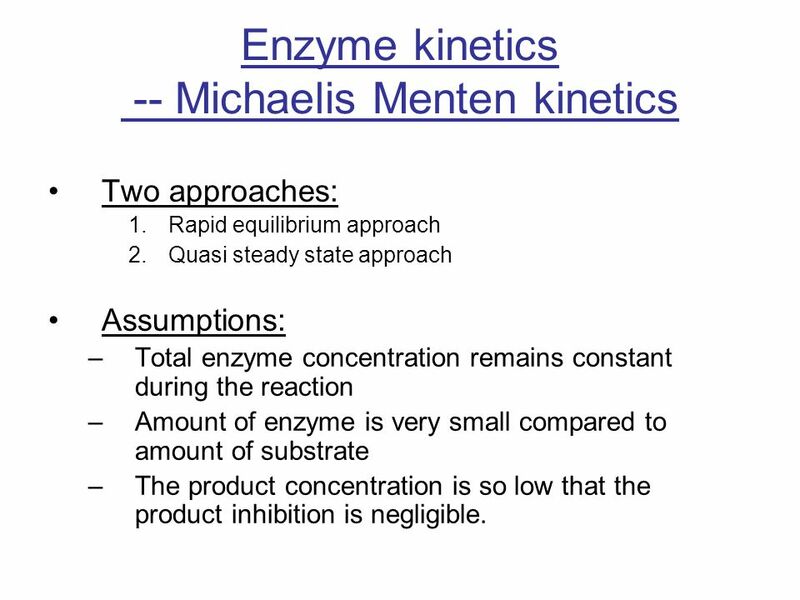 Enzyme Kinetics I 10/15/2009. 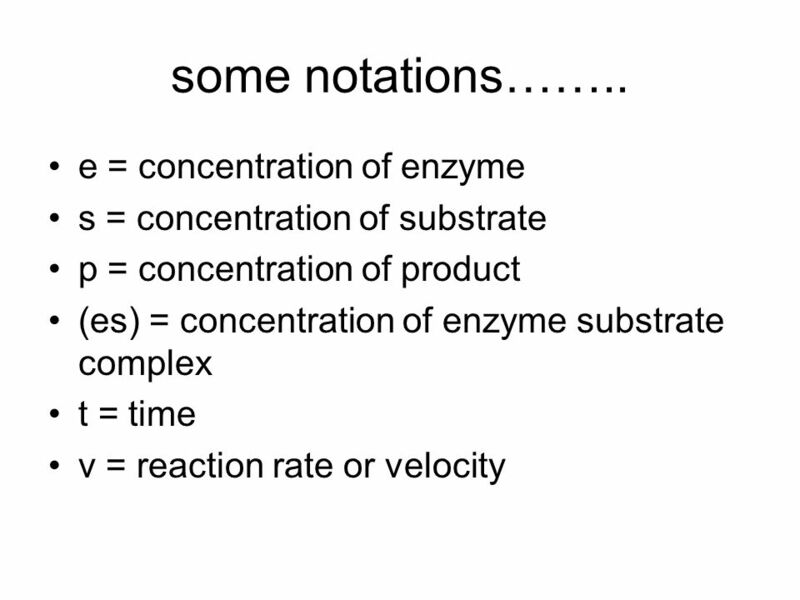 Enzyme Kinetics Rates of Enzyme Reactions Thermodynamics says I know the difference between state 1 and state 2 and  G.